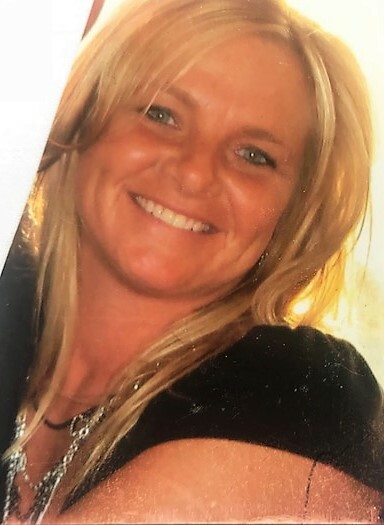 Kerry A. Rivers 44, a longtime resident of Merrimac and formerly from Everett died suddenly on July 29th. Kerry was born in Everett on January 21, 1974, the daughter of Donnie and Terry (Moriarty) Rivers of Everett. Kerry grew up in Everett and graduated from Everett High School. For the last 18 years, Kerry worked as a manager at the Plum Island Grille in Newbury. Kerry loved her family and friends and had a special place in her heart and home for animals. She cared for many animals as well as her own. She loved her Lily, Shmoo, Hoover, Stanley, Tippy, Murphy and LuLu. Kerry loved music and traveling to her favorite place the island of Puerto Rico. She loved her Plum Island Grille friends as well as her job at the Grille. In her 44 years on this earth, Kerry gave to others so much more than she took. She truly had a heart of gold and a big personality with a matching smile. Even though she is gone too quickly, may sharing memories of Kerry bring peace to her family and friends. The services will be private. Her parents thank everyone who loved and cared for Kerry.